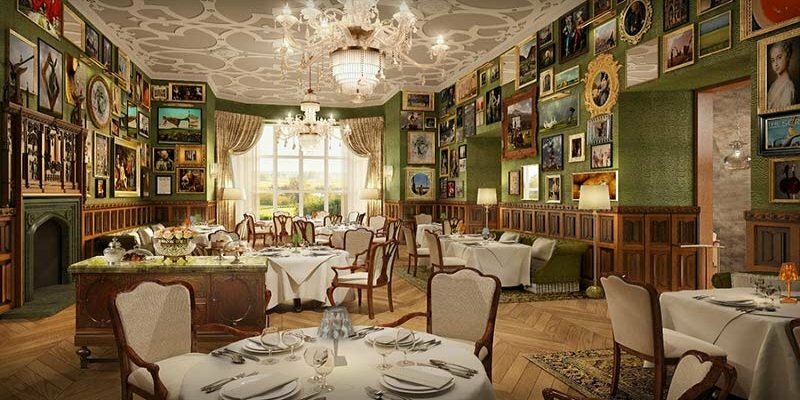 This is a magical setting for an indulgent and unforgettable dining experience, afternoon tea at Adare Manor an absolute delight. 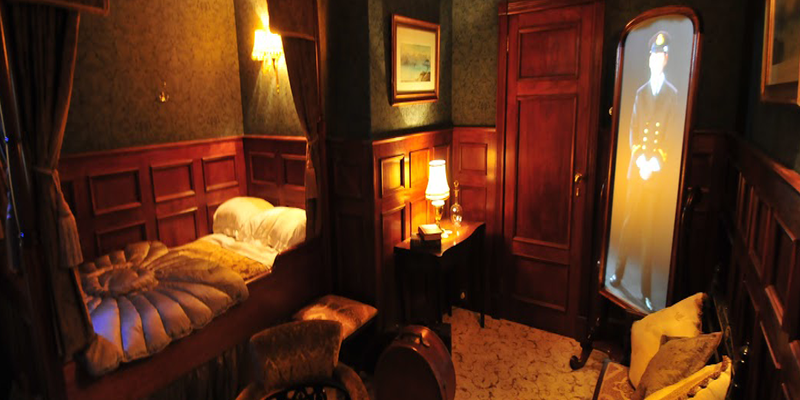 The Gallery at Adare Manor is the perfect marriage of grand scale and exquisite detail. As a result people are flocking to the manor. Surrounded by magnificent stained glass and ancient wood-carvings and delighted by exceptional tastes and flavours what more would you want. 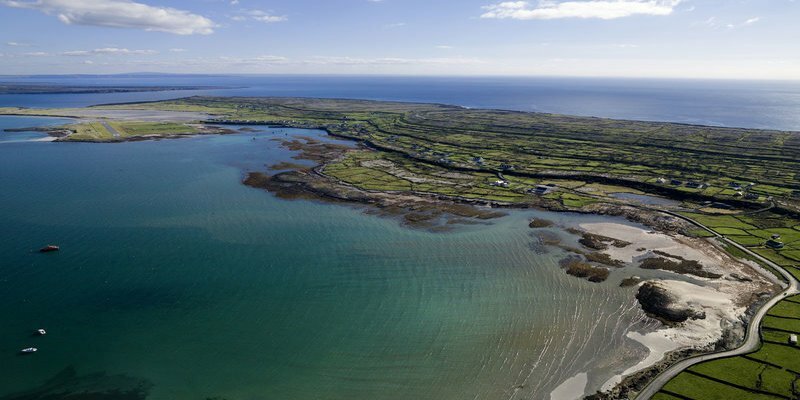 The Aran Islands are 3 rocky isles guarding the mouth of Galway Bay and only 75 minutes from Limerick to Doolin Harbour. The largest island, Inishmore, is home to the prehistoric fort of Dún Aonghasa, perched on top of a high cliff. A true Irish experience awaits, locals speak Irish as well as English in a setting of Celtic churches of historical significance. Easiest way around the Islands is by mini bus where a drop and pick up service is available or on bike at your own leisure. This is the fourth castle, the present structure, was built by the MacNamara family after around 1425. 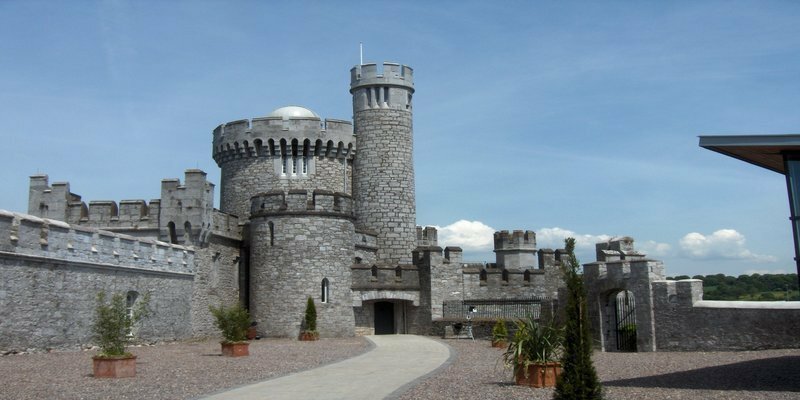 The castle was opened to the public in 1960, sporting furniture, tapestries and works of art dating to around 1600. 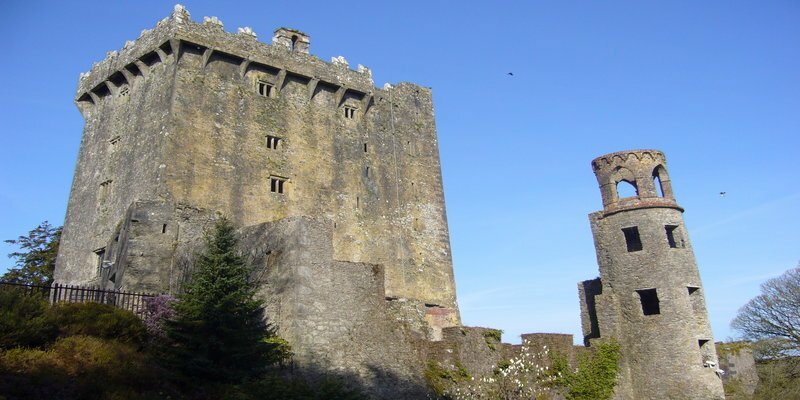 Today, the castle is a major tourist attraction, along with Bunratty Folk Park. 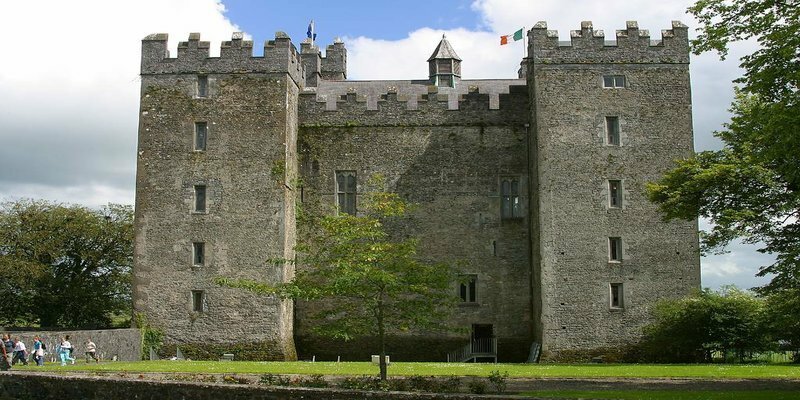 Both the castle and Bunratty House are open to the public. The castle is famous for its medieval banquets. Bunratty Folk Park is an open-air museum featuring around 30 buildings, including the Ardcroney Church of Ireland church, which moved here and reopened in 1998. 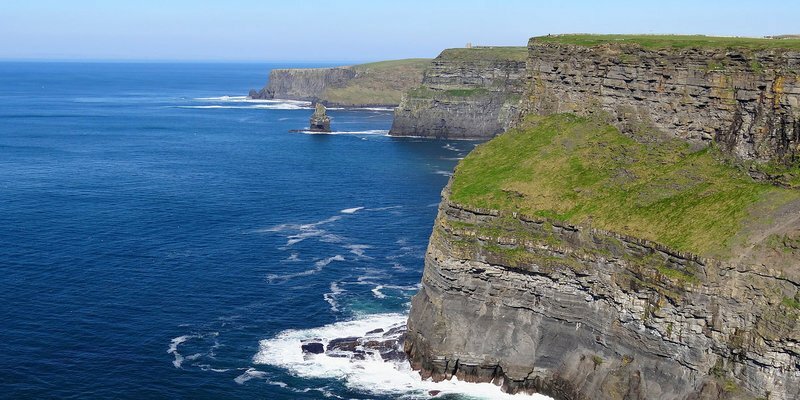 Only 90 minutes from Limerick the Cliffs Of Moher are one of the most popular tourist destinations in Ireland. It also topped a list of attractions in 2006 by drawing almost one million visitors the total visit number is now around 1.5 million per annum. Furthermore the cliffs are also a signature point on the official Wild Atlantic Way tourist trail. While the cliffs can be accessed at multiple points there is also an 18km Cliff Walk. Consequently the majority of visitors come to the official visitor centre. 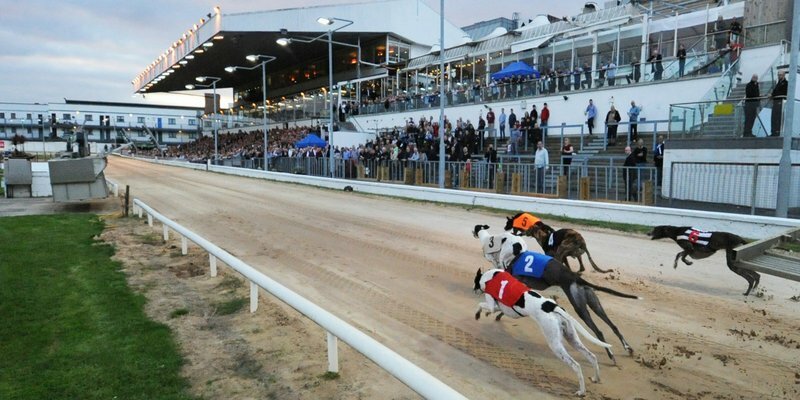 A night at Limerick Greyhound Stadium provides, live, adrenaline pumped entertainment. Top class facilities ensure it is comfortable to watch the action from inside and out. A lot of people like to make an evening by going greyhound racing as what they require is at their fingertips. Available at the Stadium is a restaurant and bar. Racing takes place on Friday and Saturday evenings. Gates open at 6:30pm and the first race is at 7:45pm. So, get your friends together and head off for a night at the dogs. 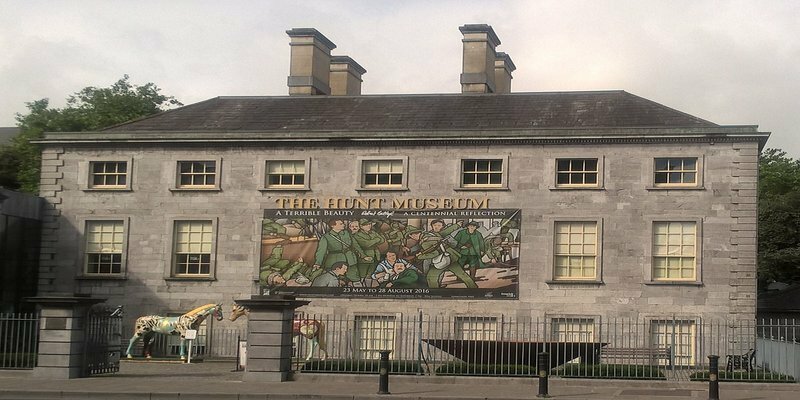 The Hunt Museum exhibits one of Ireland’s greatest private collections of art and antiquities. Dating from the Neolithic to the 20th Century, works included are by Renoir, Picasso and Yeats. The Hunt Museum started up in 1978 in one room, not as old as you think it would be. John and Gertrude Hunt were collectors and advisors to other collectors of fine art. As John got older he found he had amassed a considerable amount of art. He asked the Irish Government if they would like the collection but declined. Two members from what is now University Limerick took the collection and stored in that one room in 1978. The Museum officially opened in 1997. 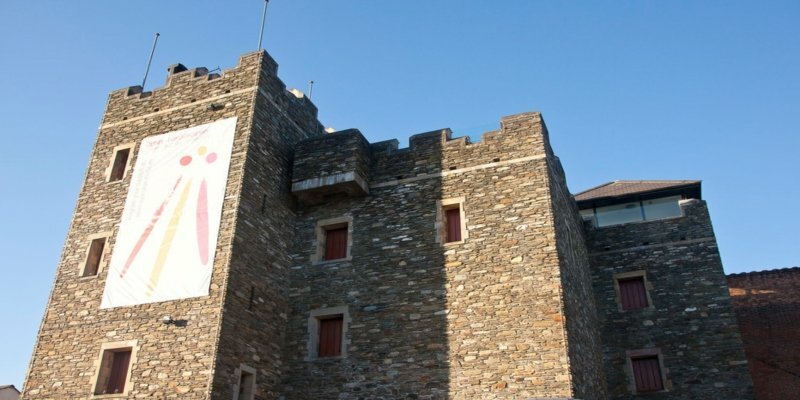 King John’s Castle is situated in the heart of medieval Limerick City. Visitors of all ages will find something to inspire and excite them at the brand-new visitor experience at King John’s Castle. 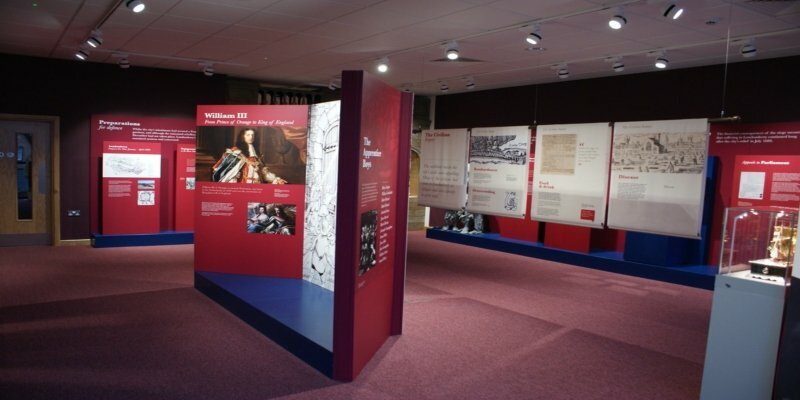 The stunning new exhibition at King John’s Castle brings to life over 800 years of dramatic local history. John was of course brother to Richard, also known as Richard The Lionheart. There was never any real love between these two brothers. John was a bad king hated by his people, where Richard was loved but was never home for the people. The exhibition provides an overview of one of Ireland’s most important archaeological sites. Lough Gur is at the heart of a remarkable archaeological landscape. In Addition it features sites that represent every major period of human history in Ireland. 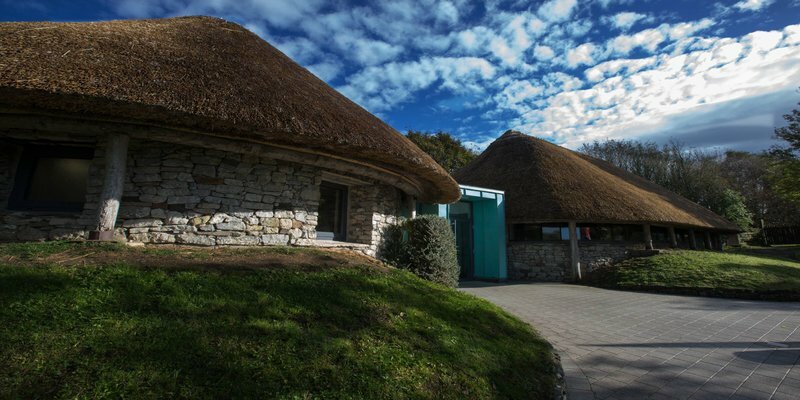 The exhibition is suitable for all ages and brings the visitor on a journey through the history of Lough Gur. 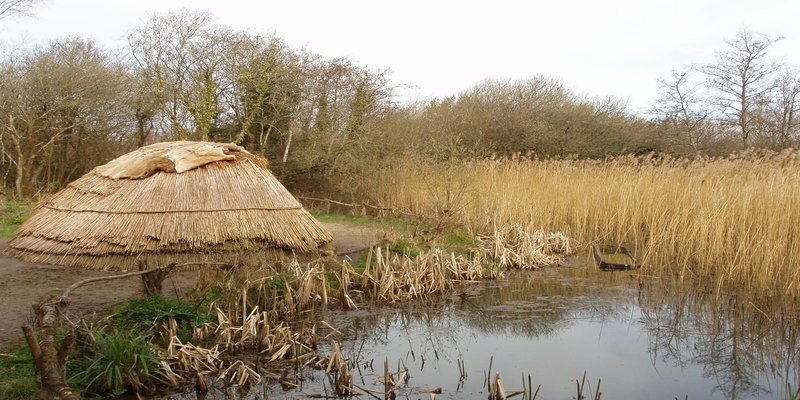 Starting during the Mesolithic Era, and progressing until the 19th century. Visitors to the Centre have an opportunity to actively engage with the exhibition. For Instance they can play a role in forming their individual experience at the centre by choosing which interactive elements to investigate. 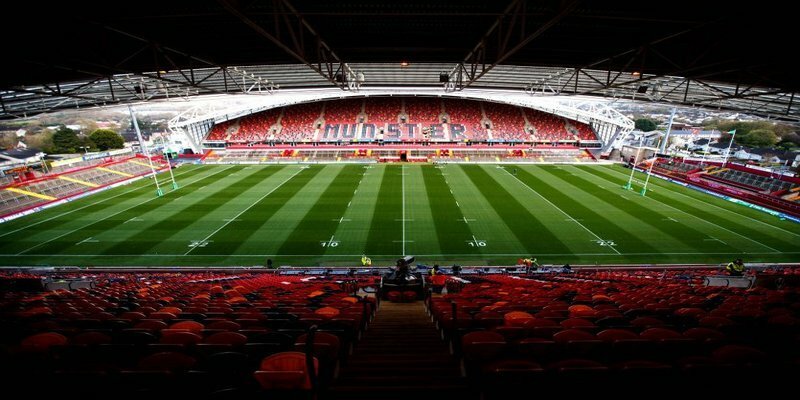 Follow in the footsteps of the Munster heroes by taking a look behind the scenes at the historic Thomond Park Stadium. When you walk through the tunnel and up to the pitch you can imagine the crowd shouting Munster Munster from the stands. Before or afterwards you can enjoy a look round the Museum which shows Munster’s history including that famous win over the All Blacks in 1978. Purpose built 800 years ago by the Knight William Marshal. Take a step back in time for a guided tour hearing tales of medieval times and life as a light keeper. 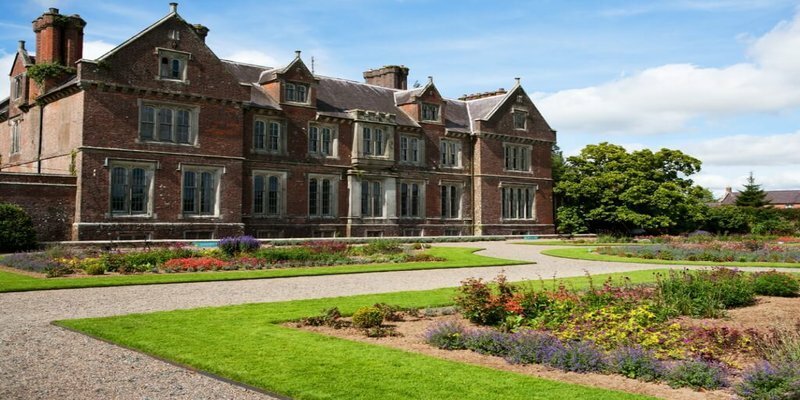 Welcome to a journey which will take you through Ireland’s past over 35 acres. You will see full scale reconstructions of ancient houses, forts and tombs. A fully reconstructed early Christian monastery, mill, cooking place, Viking boatyard and boats. Ancient bread animals at the Ringfort woodland trails and wildlife. There’s a defensive ditch built by first Norman invaders to Ireland and a Round Tower memorial to the Crimean War. 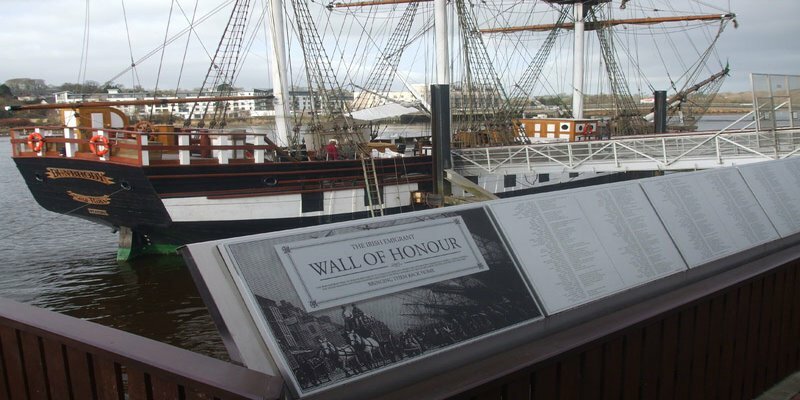 This is one attraction that can’t be missed the Dunbrody Famine Ship Experience is a reminder of our history. Your guide will tell you the history of the boat and what it was like to sail across to America. Life on board was not a pretty one. Our American guests enjoy this tour. For many of them this is where their ancestors probably sailed from and is a humble experience for them. Originally built in 1170 by a Norman knight called Raymond Le Gros. Gros then changed his name to Redmond because he wanted an Irish identity. 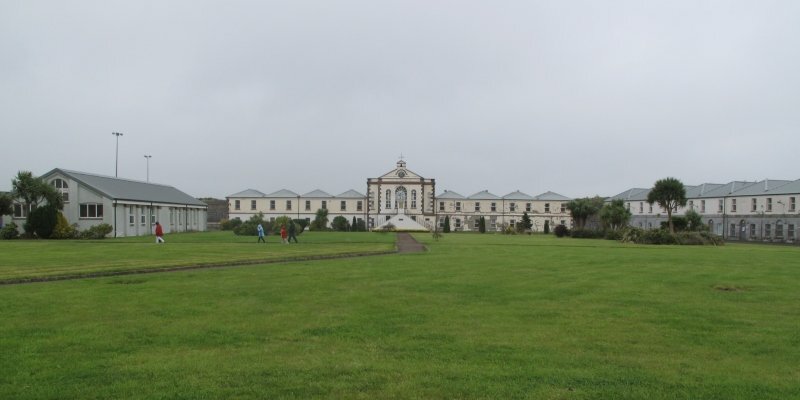 Loftus Hall is Ireland’s most haunted house. 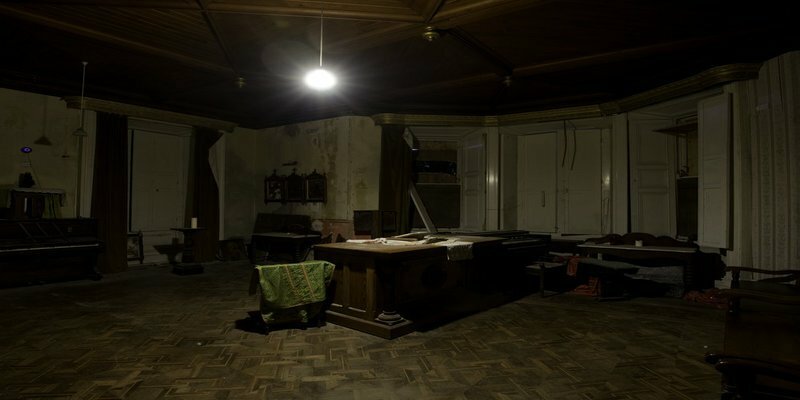 You will learn all about the dark side of this house. For those feeling really brave there is a lockdown at night. 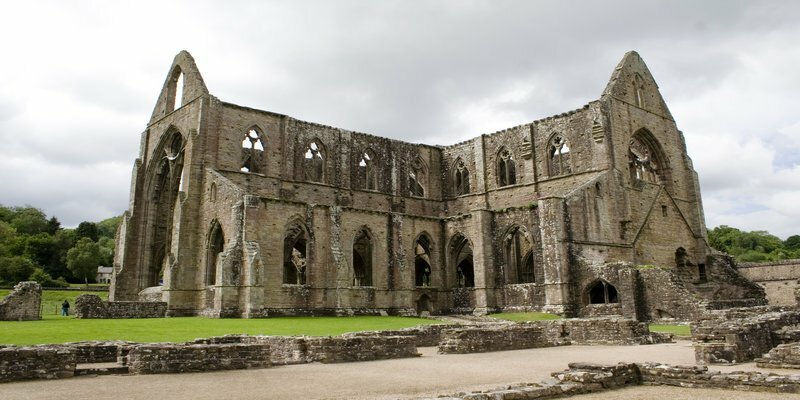 A Cistercian abbey, founded in 1200 by William, the Earl Marshall, and named after Tintern in Wales. The remains consist of nave, chancel, tower, chapel and cloister. The Colclough family occupied this house from the 16th century until 1960s. Discover the 400 year old history of Wells House & Gardens. Uncover the everyday lives of the families who lived in the estate and their famed architect Daniel Robertson. Giving you a unique insight into the life of previous generations. You can watch falconry shows on the house lawns. Enniscorthy Castle, in the heart of Enniscorthy town. Originally built in the 13th century, and has been home to Norman knights, English armies, Irish rebels and prisoners. Visit the dungeon to see the rare medieval wall art The Swordsman. Pop up to the battlements to marvel at the amazing views of Vinegar Hill Battlefield and Enniscorthy town. 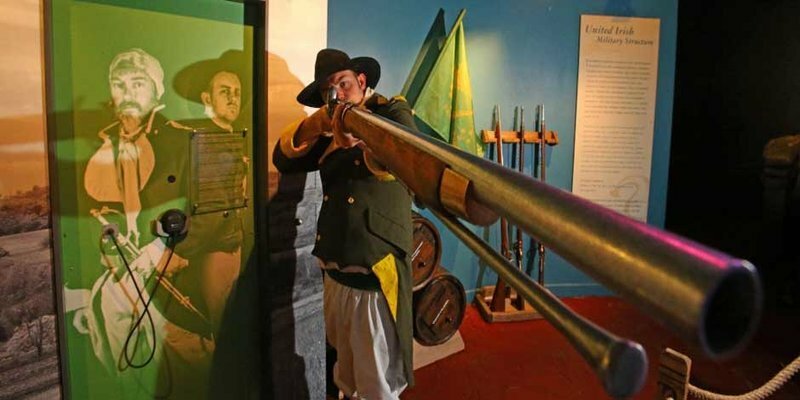 On your visit you will meet the key figures of the Rebellion, participate in their state of the art 4D battle of Vinegar Hill. Discover how weapons from the period worked. Learn in gruesome detail how some 20,000 insurgents faced the might of 10,000 well-trained and well-armed Crown Forces. The Kennedy Homestead, birthplace of President John F. Kennedy’s great-grandfather Patrick Kennedy. 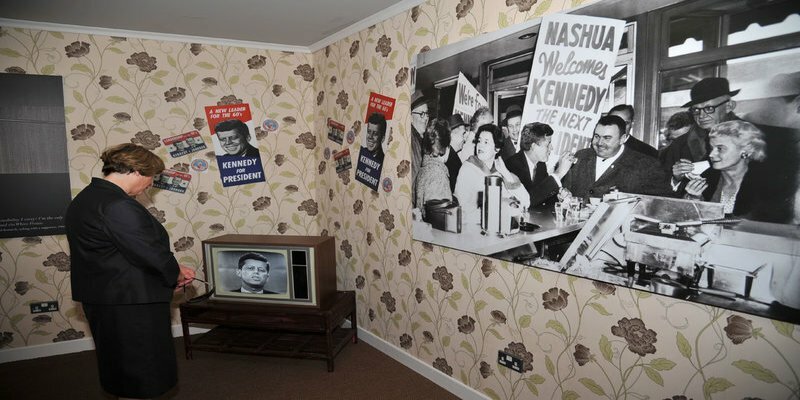 In the house you will find the story of five generations of the Kennedy dynasty. The curators, using the Kennedy Library archival collection in Boston, have created a state of the art interpretative exhibit. It explores the circumstances of Patrick Kennedy’s departure from Ireland in 1848. Piecing together the story of the most famous Irish–American family through the 20th century to the present day. Duncannon Fort is an important sixteenth century coastal bastioned fort. The fort is one of only three bastioned forts built in County Wexford and the only one which is accessible to the public. 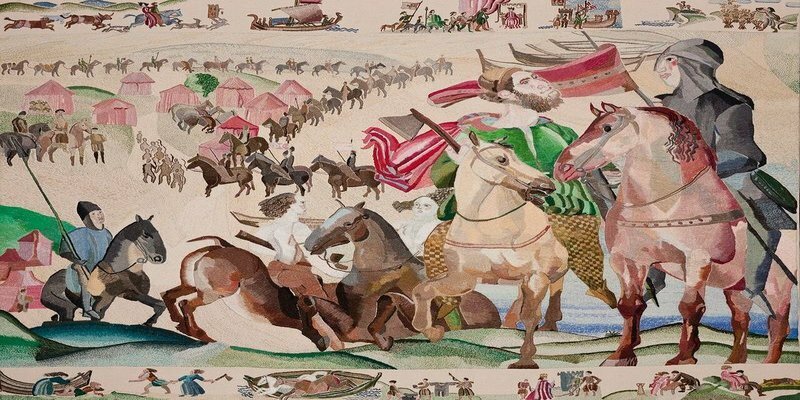 A tapestry telling the story of the Normans arriving in Ireland in the 1100’s can be seen with several others. 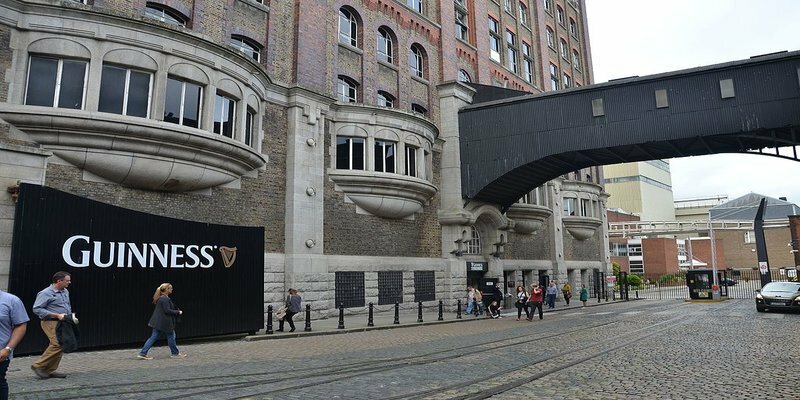 The Guinness Storehouse is the Home of Guinness, where you will discover what goes into the making of each and every pint. Learn about the incredible brand history stretching over 250 years. Ireland’s number one International Visitor Attraction unfolds its tale across seven floors. Shaped around a giant pint, which, if filled would contain 14.3 million pints of Guinness. On the fifth floor you can rest and order a pint with some food while being entertained by musicians and traditional dancers. For those who would like to try and pour a pint for themselves the option is there to see how good they are. Temple Bar is a busy riverside neighbourhood, spread over cobbled pedestrian lanes. Crowded pubs host live folk music and DJ sets, and diners pack restaurants serving Asian, American and Irish cuisine. Quirky boutiques stock clothes and crafts by local designers. Dublin’s number one drinking location is packed with visitors daily, morning noon and night it’s never empty. 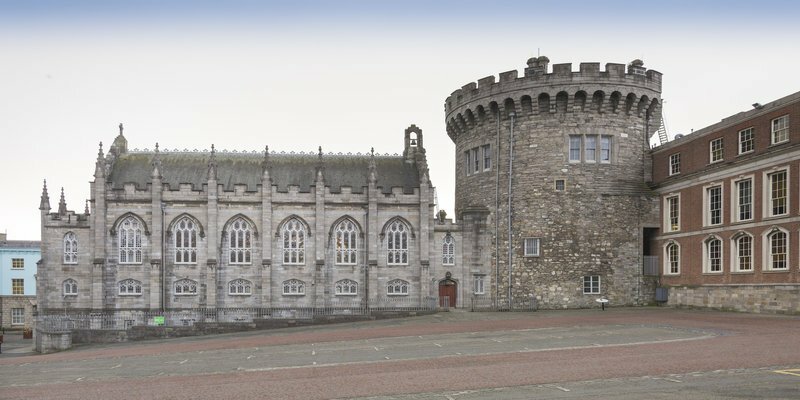 Dublin Castle was first founded as a major defensive work Meiler Fitzhenry on the orders of King John in 1204. Sometime after the Normans had invaded in 1169, it was ordered that a castle be built with strong walls and good ditches for the defence of the city. In 1922 Dublin Castle was eventually given to its people and the new Irish Republic government under Michael Collins. A guided tour is recommended, you will get to see some exhibits that you would not see just walking around on your own. 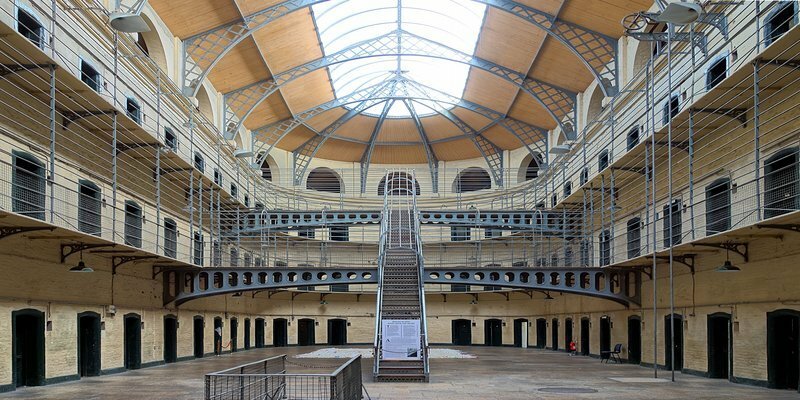 Dublin’s Kilmainham Gaol held some of the most famous political and military leaders in Irish history. They Robert Emmet, Charles Stewart Parnell, the 1916 Rising leaders and Eamon de Valera. The Gaol was built in 1796 replacing the one which was more of a hovel than a gaol. From that date to 1820, hangings took place outside the front gate once a week. Men, women and children were not segregated and 5 to a cell was the norm. All they had was the one candle for light and heat. Most of the time the prisoners were in the dark and cold as they only got one candle every fortnight. 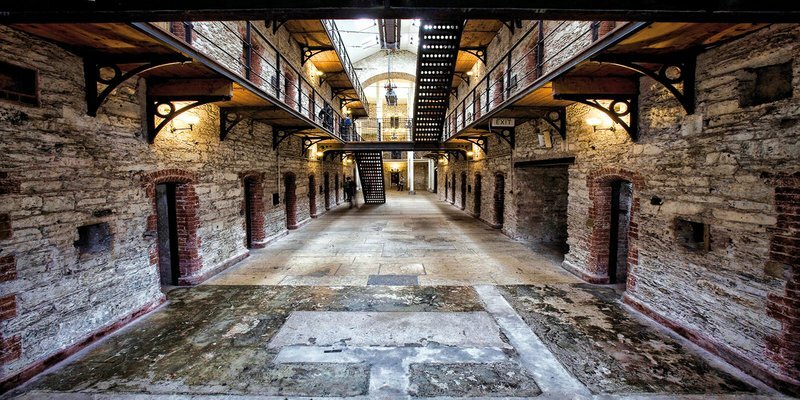 A fascinating tour about the prison and Irish history. 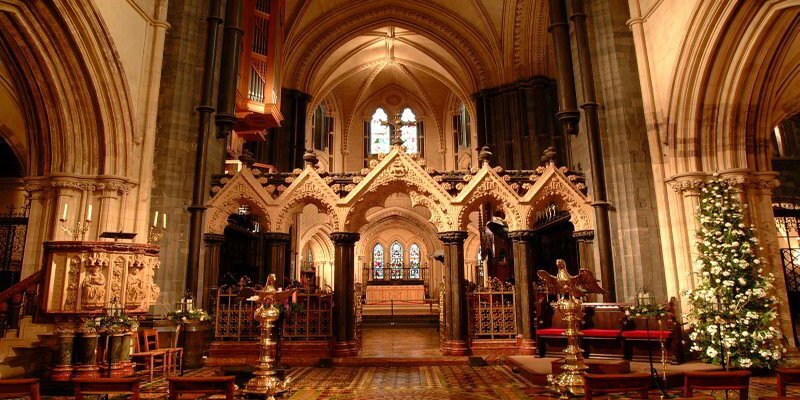 Christ Church Cathedral is one visitor’s attraction that has to be seen. History walks out from everywhere is this amazing cathedral. The cathedral was probably founded around 1028 and just after 1066 the Norman invasion, it became the property of the French. Henry 11 is reported to have attended the cathedral for communion after he had Thomas Beckett murdered in Canterbury Cathedral. The cathedral was originally built in wood, but the Normans rebuilt it in stone. 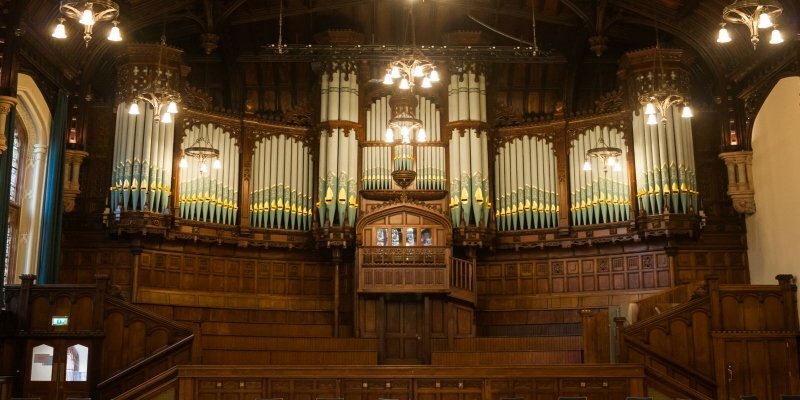 It’s one place of worship that really is a must when you come to Dublin. Originally one of six main whiskey distilleries in Dublin Jameson was founded by John Jameson in 1780. By 1805 the distillery had become the number one producer in the world. 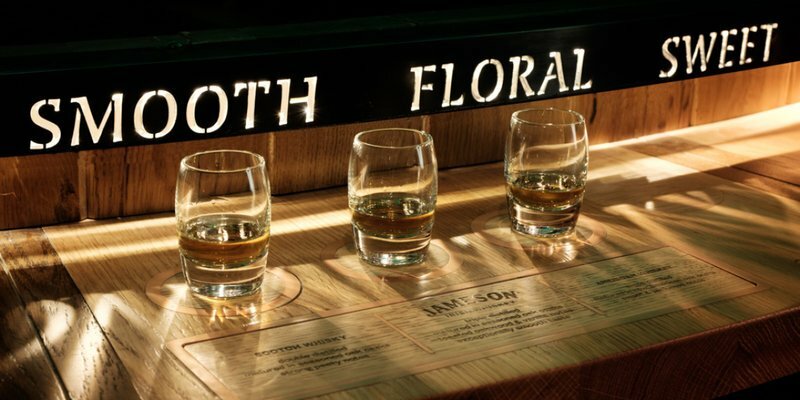 A visit to the distillery is a must it is an exciting and engaging experience as the staff will tell you. You will discover how three simple ingredients, water, barley and yeast are transformed into the drink that is known as Jameson Irish Whiskey. There’s a little sampling to be done too, which can’t be missed. Dublinia tells the story of Dublin from the Vikings through the Norman Invasion and through the ages. You will definitely come away from here knowing so much more of Dublin and the people who lived here and built this city. It is located at Christ Church the crossroads of medieval Dublin. There are a couple of more exhibitions on show too which would be of interest. One being the artefacts that have been unearthed over the years such as the skeleton remains of a Viking warrior. Viking Splash Tours is a truly unique experience on land and water. 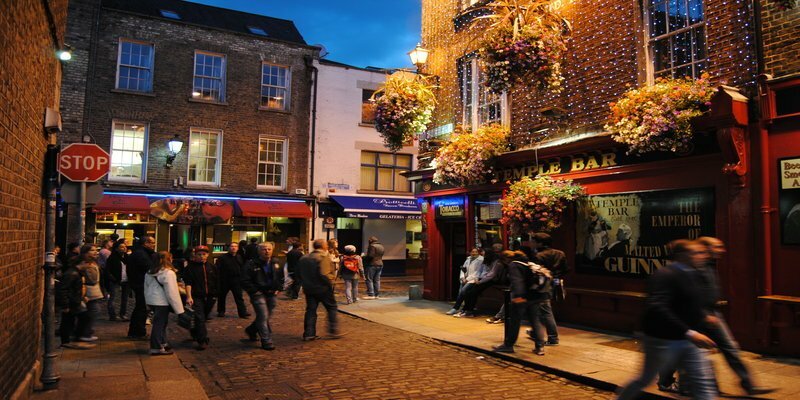 Here you will take in the sights of Dublin during a fun-filled and engaging guided city tour. 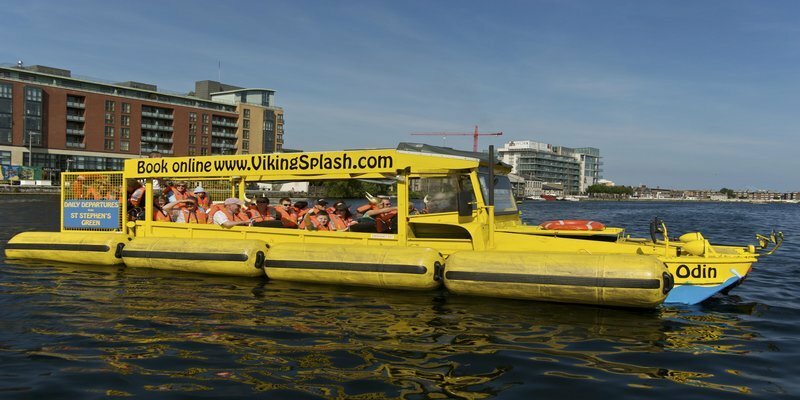 Enjoy the sights of Dublin by land and water amphibious vehicles that take you from land to water and back again. You will experience an unanticipated, enjoyable and informative experience that appeals to young and old alike. The tour lasts for about 70 mins and the guides are very good. If you’re lucky enough to be chosen you might get the chance to do a bit of steering down the River Liffey. Visit the Aviva Stadium for a tour. You will see the press conference room, home dressing rooms, players’ tunnel, dugouts and more. 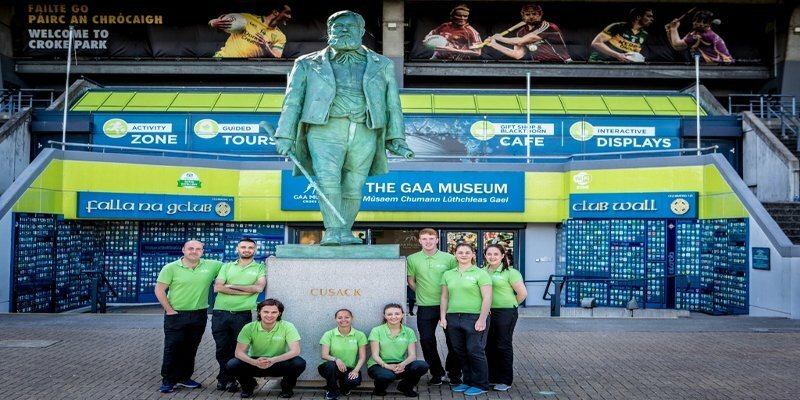 The Aviva tour guides will bring you around the stadium and entertain you for an hour. One of the guides is Patrick O’Reilly AKA Ralla. Ralla was kit man to the Irish Rugby team for 15 years and also kit man for two British and Irish Lions tours. 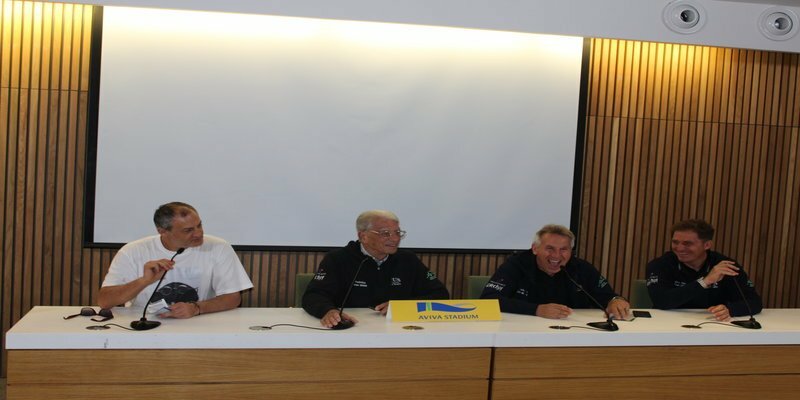 During the tour the team management are usually asked to sit at the media table so that the players can ask a few questions for a bit of craic. Croke Park is the home of Ireland’s national game Gaelic Football and Hurling. Every child in the country is brought up to play both sports just like children in New Zealand are brought up with a rugby ball. Visit Croke Park on a stadium tour and you will learn all you need to know about this Irish sport. There’s a chance to do the roof top tour which takes you all round the top of the stadium. This also allows you to walk out onto a podium which overlooks the pitch. Hurling is the world’s fastest ball game and the ball can travel at speeds, the ball when hit has been clocked at a 100mph. 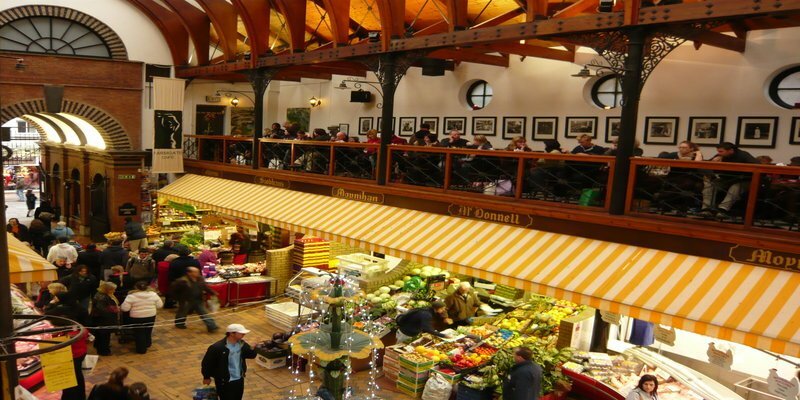 The English Market has been serving the population of Cork City since 1788. During its life it has survived revolution, war, depression, famine and the boom period. But it has always remained as the hub of the city for its inhabitants to meet and gather. In recent years the market has even been visited by royalty. Queen Elizabeth 11 of England and just recently her son Prince Charles, Prince of Wales. So, when in Cork, the market is a must visit, even just to look around. 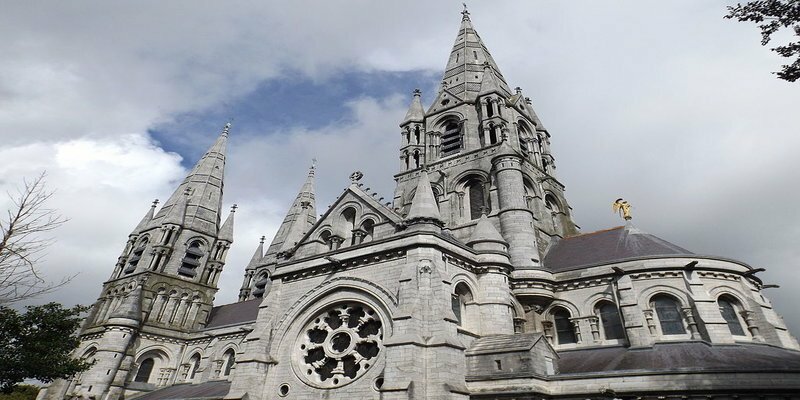 Saint Fin Barre’s Cathedral is a Gothic three spiral cathedral in the city of Cork. 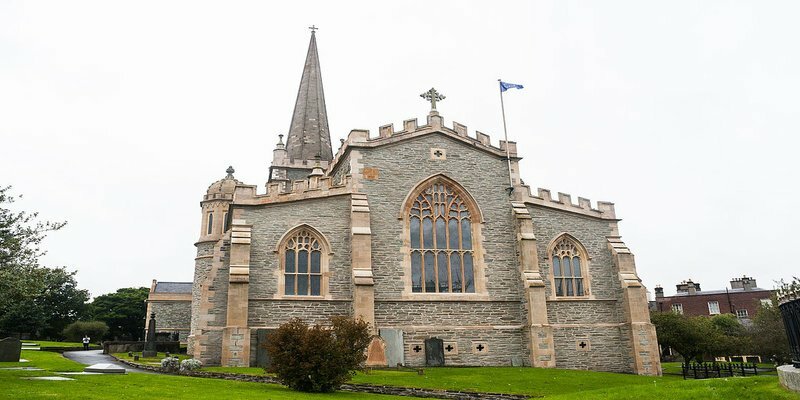 It belongs to the Church of Ireland and was completed in on ground that has been a place of worship since the seventh century. Christian use of the site dates back to a seventh-century monastery and was, according to tradition, founded by Finbarr of Cork. During the medieval period, the site underwent successive wars, waves of church building and damage. Around 1536, during the Protestant Reformation the cathedral became part of the established church later known as the Church of Ireland. Blackrock Castle is a castellated fortification located on the banks of the River Lee. 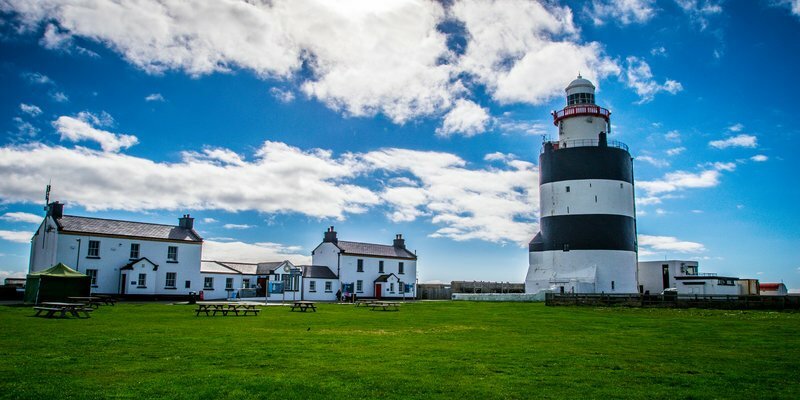 Originally developed as a coastal defence fortification in the 16th century to protect upper Cork Harbour and port, the site now houses an observatory and visitor centre. 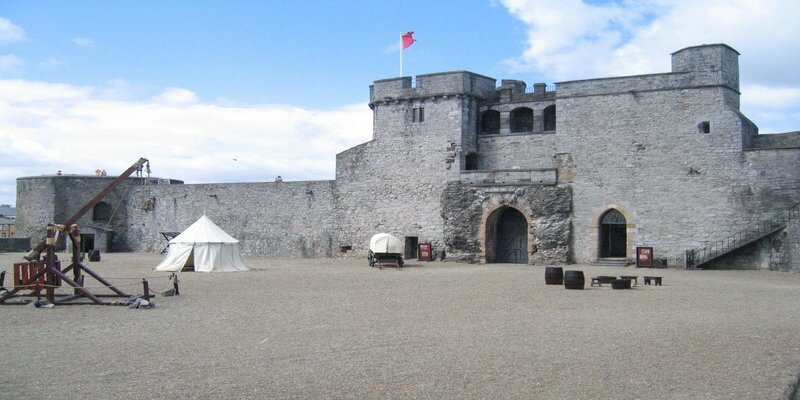 In the late 16th century, the citizens of Cork appealed to Queen Elizabeth I to construct a fort at Blackrock to fight back pirates and other invaders. Around 1582 a fortification was built on the site and later around 1600, a round tower was constructed to safeguard against pirates carrying away vessels entering the harbour. The earliest elements of this structure remaining today are a circular tower on the water’s edge. Mitchelstown Cave was discovered by Michael Condon in 1833. He came by it while he was out quarrying limestone. He dropped his crowbar into a crevasse and while he moved some rocks to pick it up he looked down into what was a large underground passageway. 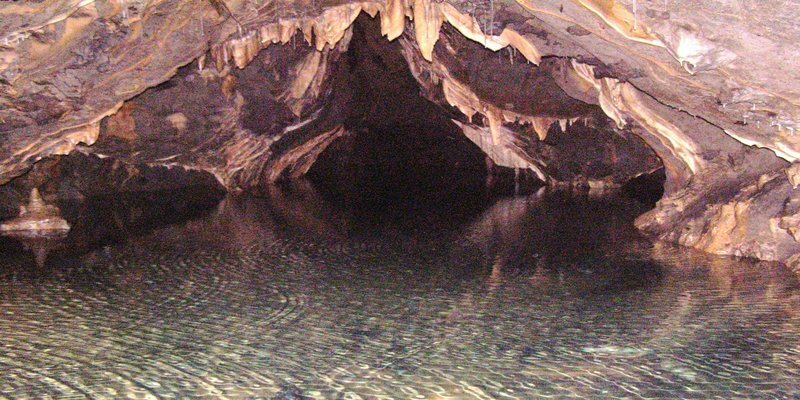 Now people from far and near travel to Mitchelstown to see this world famous cave. Walking in Michael’s footsteps you will come across massive caverns which are covered in fascinating dripstone formations. you will also come across one of Europe’s finest columns called the Tower of Babel. Concerts are performed underground as the acoustics are incredible. Spike Island is an island of 103 acres in Cork Harbour. Originally the site of a monastic settlement, the island is dominated by an 18th-century star fort named Fort Mitchel. The island’s strategic location within the harbour meant it was used at times for defence and as a prison. Cork Harbour’s defences faced two threats. Firstly, an attack by war-ships forcing an entry in to the harbour – either in a raid to destroy shipping or to affect a landing of troops. Secondly, they faced the threat of attack from the land by forces which had been landed at an undefended point along the coast. 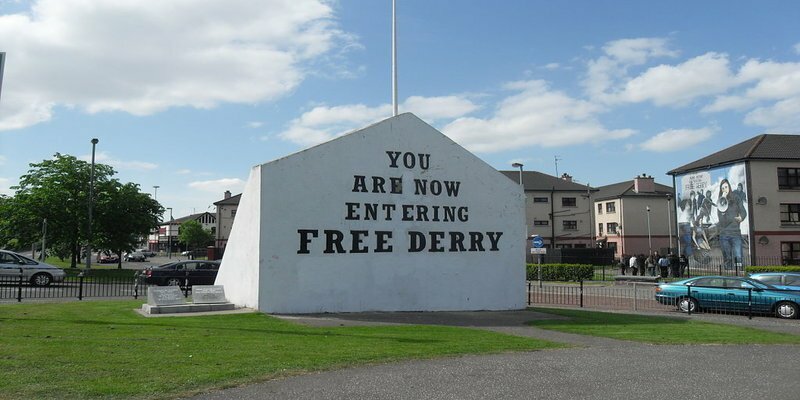 Spike Island is now a tourist attraction which attracts thousands, in August 2016 it alone attracted over 10,000 visitors. On show there are prison cells, gun emplacements, and key points of interest. 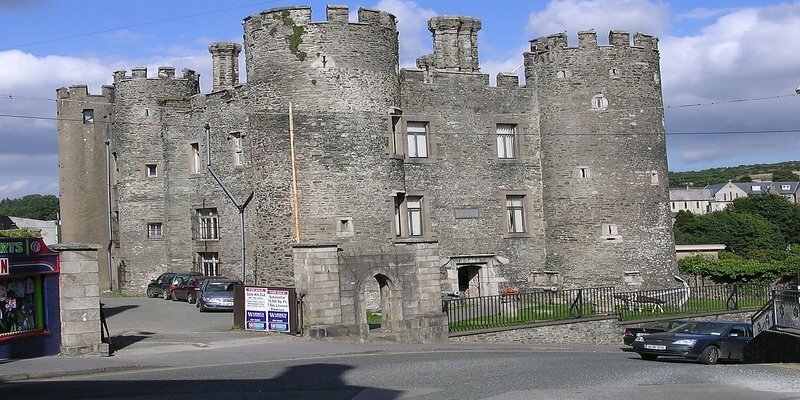 Visit this old castle like gaol and imagine what it was like for the inmates to live here during their incarceration for such petty crimes. The gaol was built in 1824 and took 8 years to finish as the years passed by different wings were added to accommodate extra prisoners. The warders themselves actually lived inside the prison with their families in rooms just a little bigger than the cells the prisoners were housed in. When the gaol opened it was home to both male and female but of course in different wings. 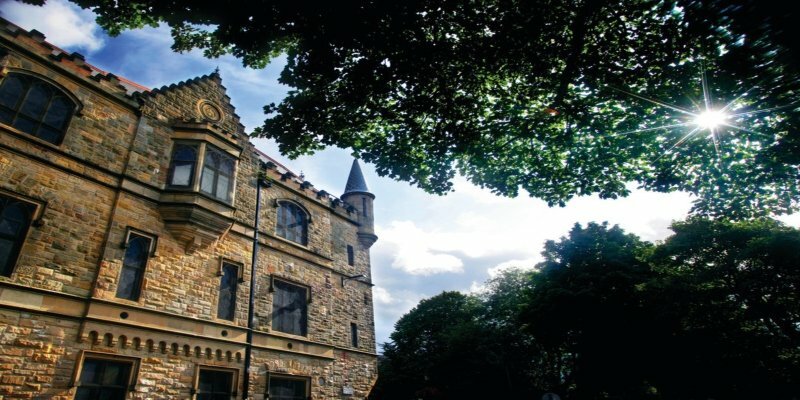 In 1927 the gaol became a radio station for what is now the nation’s chief broadcaster. Blarney Castle and the Blarney Stone, everyone wants to kiss the legendary stone. When lying on your back and head back don’t look down, it’s a long way down but don’t worry you’re in safe hands. The castle that visitors see today is the 3rd castle to be built on the site. The first castle was built around the 10th century and was a wooden fort. In 1210 the second castle was built this time of stone and then the present castle was built in 1446. Blarney means persuasive elegance, being able to flatter or charm someone. It comes from the Irish word Bhlarna which means little field, but we all like the first meaning. Who wants to play Tarzan? Zip Lining will give you that chance. 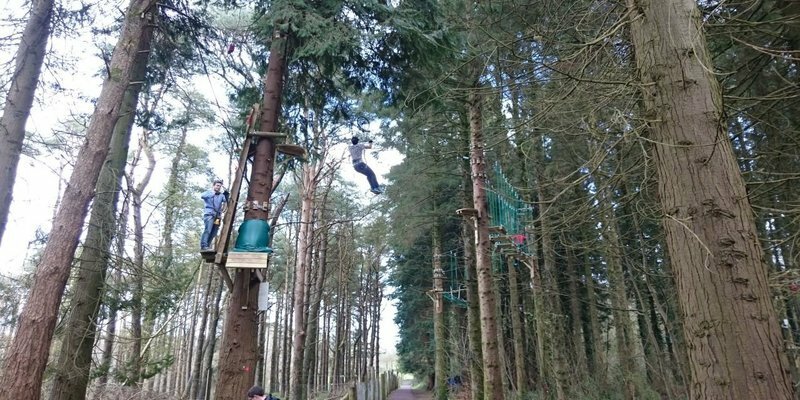 Deep in the Cork countryside you will find zip lining for all levels. A place where children can be children and adults can be children too. You can climb high into the treetops if you have the nerve, swing into the cargo nets and then zip line. For those scared of heights there are the lower levels where you will feel a little safer. This is a unique experience for everyone to enjoy, no matter what age you are. Opened in July 1983 by the President of Ireland, has the primary aim of conservation of global wildlife. It is a joint project of the Zoological Society of Ireland and University College, Cork. 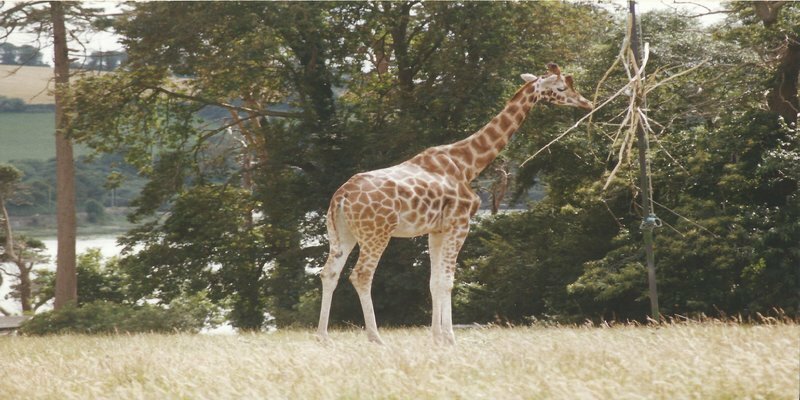 Fota Wildlife Park has more than 70 species of exotic wildlife in open surroundings. Animals include ostriches, giraffes, kangaroos, zebras and antelope. Most of the animals who inhabit the island are allowed to roam throughout with the exception of the cheetahs and other predators, which have fenced enclosures. Ring-tailed lemurs, wallabies and other animals freely roam the park. Many of the animals at Fota are under threat of extinction. Fota Wildlife Park is involved in breeding programs for these endangered species, as well as being a breeding source for other zoos around the world. An Asian sanctuary opened between in 2015 and includes enclosures for tigers and other animals. In 2015 the park was the ninth most popular paid attraction in Ireland, with 436,000 visitors that year. Cobh was the last port of call for the Titanic before it set sail for America. Here you will read about and learn about the last passengers to board the ocean liner. Upon entry you will be given a boarding ticket with a name of one of those passengers. At the end of the tour you will find out what happened to that person. It’s a very enjoyable guided tour, not on the same par as the one you probably have seen in Belfast but still worth visiting.